I live in College Station, TX with my wife Elham. We have decided to adopt a baby, probably a baby girl from China. All comments and questions, insulting less than a certain amount, are welcomed. Please avoid asking the over-redundant question of "Why not adopting from Iran? ", unless you have already adopted a child from Iran! Using the terms "biological child" or "birth child" are preferred over the term "real child", as adoptees are not imaginary. Normally, adoptive parents love their adopted children as much as their biological children. Hence, I would suggest people having the same amount of respect when referring to adoptees (I know that insulting comments are not necessarily because of bad intentions, as the main source is lack of information). There are definitely health risks when adopting, like bio-children (of course no biological child is pre-guaranteed to be healthy). Adoptees are not watermelon to choose the best among a group (just like biological children; as the parents do not select the most intelligent child to be born!). Hence, please avoid giving advices on how to select the most intelligent and healthy children to adopt. Whoever they are, they are loved by their parents. I found this Adoptive Families article a good source of answers to primary questions that might arise. 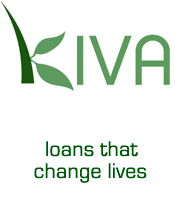 I believe in Kiva (the logo appears on the right) as a proper approach to help others. I also see religion as a totally individual matter and I am against any kind of injecting religion into groups.